A couple of meh digiscoped pics of a couple of vaguely interesting shorebirds prior to the PAS Dragonfly walk today down on the Los Angeles River. 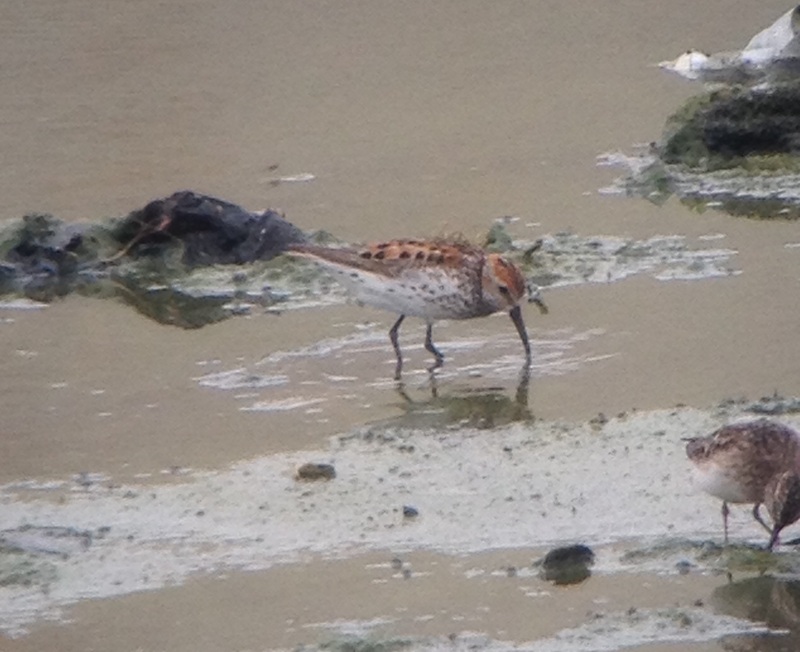 A Semipalmated Sandpiper (I think we ruled out something more interesting) and a crazily bright Western Sandpiper. 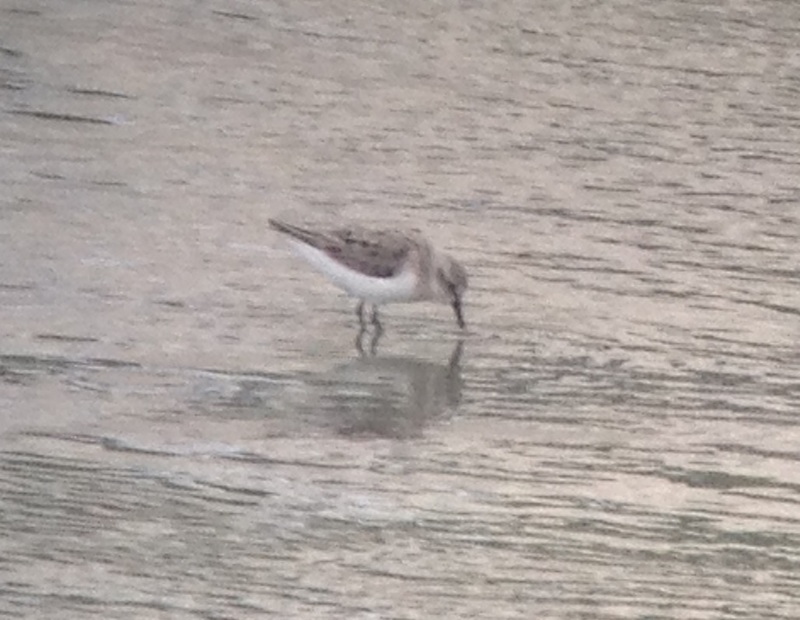 Why when I was looking on the East Coast didn’t all Western Sandpipers look like this? Talk about making life easier.